I hope all you beautiful mothers had a wonderful Mother's Day and were spoiled as well! I will be getting some photos up soon and maybe even a post from my Mother's Day look that I posted on instagram here, but for today's post I'm just showing off a favorite casual outfit and possibly my new favorite boots! 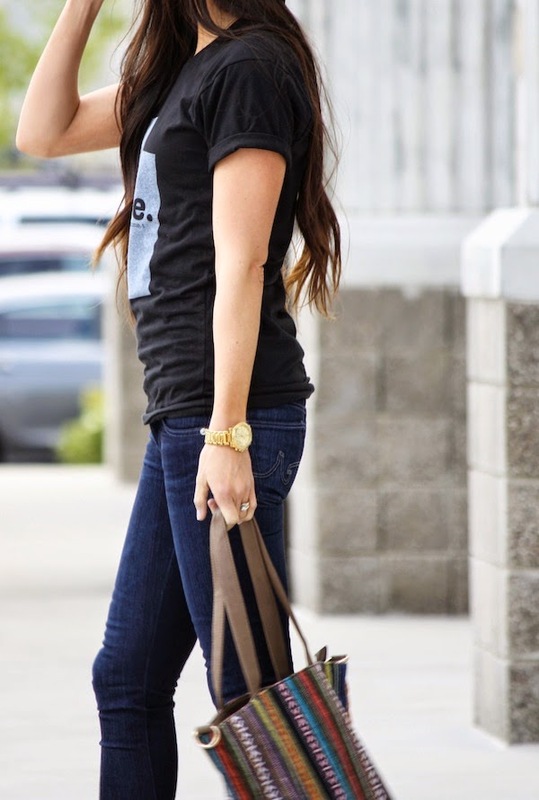 Love that tee! 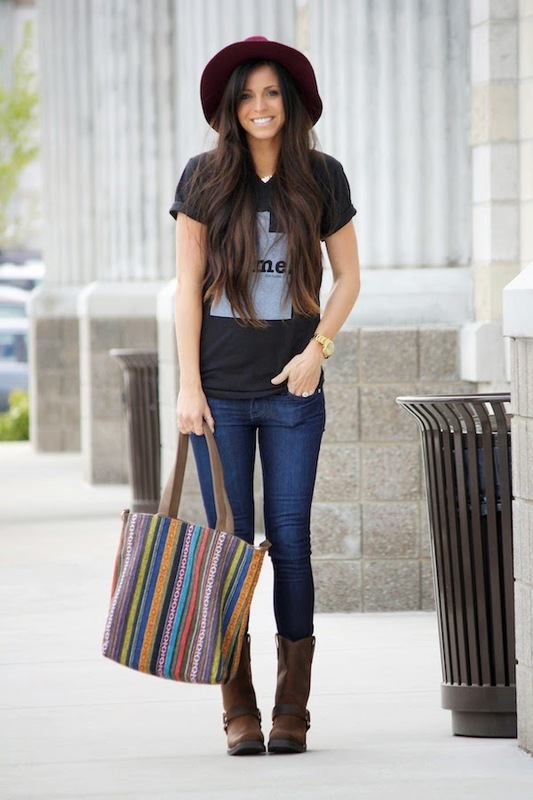 Looks awesome how you styled it with the bag, hat, and boots! Robyn, Happy Belated Mother's Day! Aw, thank you so much! It was such a fun day and probably one of my new favorite holidays ;) haha! Thanks girl! You are too sweet, XO! 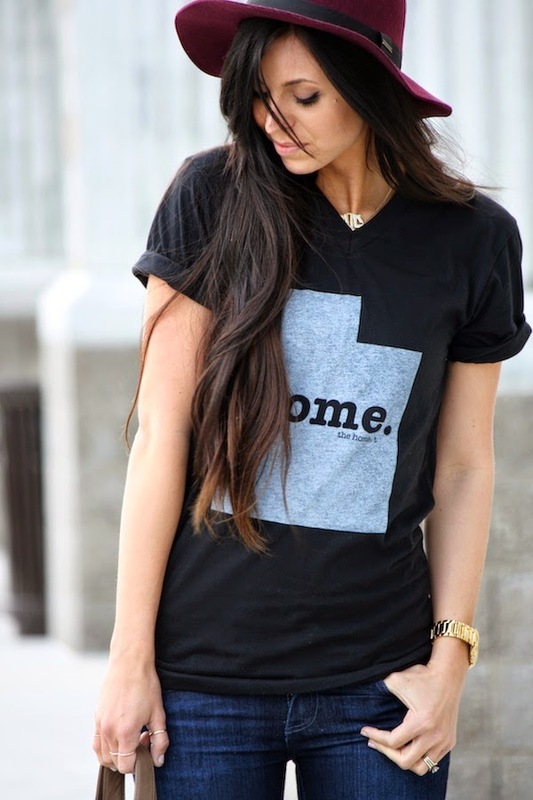 Thanks so much for sharing The Home T with your readers! Love this T! I definitely need this since my family and I will be moving out of Utah! Since they are unisex sizing, I don't know what size to go for... I love how yours fits, do you mind me asking what size it is!? i love this! you look so cute! :) do you work out? random question lol any tips?